Do you play soccer in your backyard, scoring goals with family and friends? Are you looking to take your pro arena to the next level? Or are you a fan who’d rather watch the stars kick the ball in the World Cup on TV? Either way, you’re not alone. This game has been called the world’s favorite sport. It has been played across the globe for at least 3000 years. The earliest form of this game was a casual and informal sport. Over time, rules were made, changed, and eventually agreed upon after much debate. Playing conditions and arenas have developed too, as the game has become more modern. Some of the most recent changes include the addition of penalty cards, and the rise of artificial soccer turf. The experts at Watersavers carry pro-caliber soccer turf and soft faux grass ideal for casual pickup games in the yard. Soccer is one of the only sports to have a worldwide competition once every four years, in a format similar to the Olympics. FIFA (Fédération Internationale de Football Association) regulates the sport. Every four years they hold the FIFA World Cup. The next World Cup will be in Russia in 2018. The years leading up to the World Cup determine which teams will play for the title. The game makes for a great viewing experience and has a huge fan base. More than 30 billion viewers in 214 different countries watched the World Cup on T.V. in 2006, making it the most-watched sporting event. FIFA made headlines at the last Cup for its use of soccer turf. It held the women’s matches on a faux grass surface, and final stats showed lower injury rates than in previous cups played on live grass fields. Many arenas and soccer affiliates have made the switch to this synthetic field turf. Playing standards and the financial stakes of the games keep rising. That means everyone wants lower risks for their arena design. 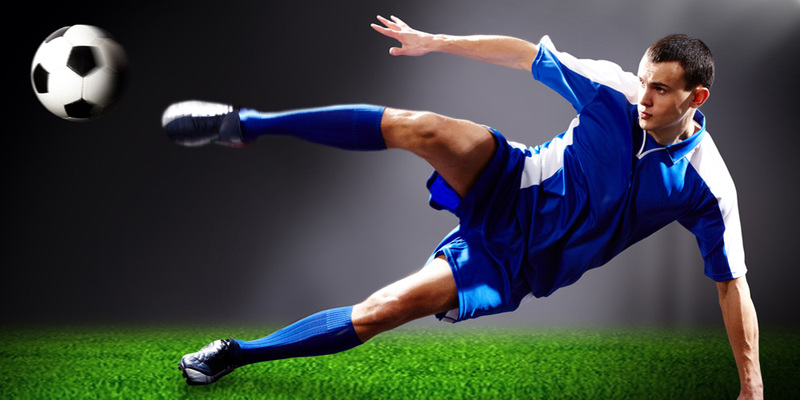 Artificial soccer turf installation has many benefits, including savings on labor costs, lower water usage. Beyond easier maintenance, the quick draining sod means less chance of flooding, with the consistent and reliable surface leading to fewer rescheduled games. Historically, the origins of this much-loved sport are so ancient that first games weren’t clearly recorded. Scholars still disagree about where it was invented. Some sources say it appeared first in China in the 2nd and 3rd centuries B.C. Other records and literature seem to prove that the ancient Romans and Greeks played as well, and may even have gotten to the idea first. Wherever it began, the country that changed the game into modern soccer as we know it was certainly England. Legends say the first English ball was the head of a Danish thief caught robbing British citizens! Whether that’s truth or a tall tale, we may never know. We do know that while the game has changed over time, there has always been one objective: get a ball into the net. Simple as that may sound, it hasn’t always been seen as pure fun. The game was actually banned by King Edward III and King James I of Scotland in the 13th and 14th centuries. At the time, the rough play was considered an act of violence. It was also seen as a distraction to soldiers who ditched archery practice to play soccer for fun instead, or as an act of light rebellion against stern military officers during a time when tensions were high. Lucky for us, the game is now accepted as a playful way to blow off steam, stay fit, and gain great sports skills. Ready to get more soccer into your life? Start with the right surface on your ground. Contact us, visit a store location, or browse online to see our 60+ varieties of synthetic lawn. Watersavers specializes in sports turf, with lots of grass styles that are ready for active play.